Simplyknobsandpulls.com has been a leading internet cabinet hardware retailer for over 9 years with over 15,000 cabinet knobs and drawer pulls to choose from. We offer the best prices, Free Shipping over $79 and no restocking fees! We also offer a professional buyers program for home builders, cabinet makers, architects and designers. 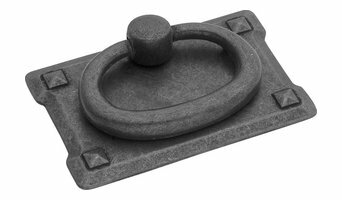 We have an enormous selection of bail pulls, drawer pulls, back plates, appliance pulls, cabinet knobs, cup pulls, bar pulls, finger pulls, pendant pulls and bath and functional hardware. We also carry kitchen islands and bathroom vanities. We know you will love our products, fast shipping and excellent customer service. At www.simplyknobsandpulls.com we turn houses into homes! 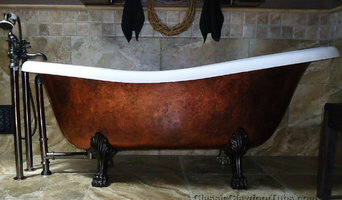 Classic Clawfoot Tubs specializes in beautiful clawfoot bathtubs, vintage reproduction faucets & fixtures, and many other freestanding bathtub styles to help you create your dream bathroom. We also offer Free Shipping on all orders regardless of size. 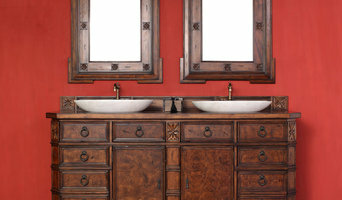 Your one-stop shop for bathroom vanities, kitchen islands, corbels and other decorative wood products and more! At corbeluniverse.com you can shop for thousands of products all under one roof. Bestbath is the world’s leading manufacturer of bathing products for people of all abilities. We specialize in universal design, accessible design and aging in place. Functional and beautiful, our high end composite showers can be easily modified as your needs and abilities change. ... Bestbath’s Beginnings Bestbath began in 1969 as Component Structures, Inc., producing industry-standard bathing products. 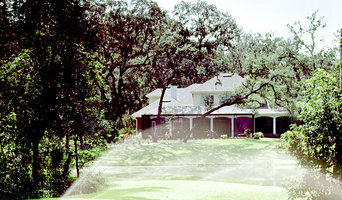 Current Bestbath CEO Gary Multanen started his career at the growing company in 1971 as plant manager. Ten years later, he purchased the company and continued to expand its market reach and product line. One day, while visiting with his mother and hearing in detail about the difficulties she experienced in bathing, Multanen realized there was a problem: The market was failing to provide quality, easy-to-access bathing products. He solved the problem by quickly adding a line of high quality, safe, and accessible bathing products to the company’s existing line of traditional shower and bathtub options. In 2000, all product lines were consolidated under the brand name Best Bath Systems, now known simply as Bestbath. ... Bestbath Today Bestbath’s state-of-the-art manufacturing facility in Caldwell, Idaho, uses lean and efficient processes to produce its tubs, showers, and surrounds. Barrier coating to create a more durable shower with a smoother finish. Composite showers with 90-degree corners to give a ceramic tile appearance with lower installation costs and worry-free maintenance. Pre-leveled pans with integral support and with polyurethane shower pan bottoms for faster, no‑error installations. First in quality, first in accessibility — Better living begins with Bestbath. ... Our products From walk-in tubs to traditional shower inserts — are designed to be useful, beautiful, and easily modified as individuals’ needs and abilities change. We work closely with architects, commercial project developers, and homeowners to ensure our designs provide the function and value needed today and for many years to come. Kitchen and bath fixtures can be hard to buy. Take bathroom vanities, a product we know a thing or two about. You want something special. You want a beautiful design and high quality. You also want choice. Whether it’s the size of the vanity, the number of sinks, the cabinet finish or the counter top, you want to be able to pick the product that’s right for you. The problem is that you can’t get much choice at your local stores. Go ahead and look. We’ll be right here. In addition to choice, you want quality. LUXX Kitchen and Bath only sells products that we’d buy ourselves. Our brands and exclusive products are of exceptional quality that you will be happy with for years to come. And we back those products up with customer service. Whether it’s pre or post purchase, we live by the following motto. “We treat people the way we like to be treated.” That means you will deal with real people who are committed to customer satisfaction. We own our mistakes and we fix them. And even if you make a mistake, maybe you accidentally order the wrong product, we’ll work hard to help you. Because that’s how we like to be treated. Choice, quality and service. Those are the foundations our company is built on and we invite you to shop with us. And if you are ever in Boise, Idaho, we invite you to stop by our showroom. Tons of customers tell us they've never seen one like it. You'll see that we take design seriously. We offer a wide variety of kitchen countertop power outlet pop ups as well as floor power pop ups. We sell kitchen countertop pop up power outlets certified for countertop use and any potentially wet indoor location installation. Usful Glassworks is a 501c3 nonprofit organization that provides job training to people experiencing employment barriers. We do this by upcycling empty wine, spirits, and beer bottles by cutting and processing them and turning them into useable and useful glass products such as drinkware, hurricane lanterns, bowls, windchimes, and more. Fine fixtures for your home! We combine quality products, over the top customer service and market leading pricing to turn your house into a home! The Fixture Gallery is a full Kitchen and Bath Plumbing showroom. I have had 10 years of knowledge and experience in this showroom. The process can be overwhelming and I am dedicated to transform what may be a stressful process into an enjoyable and educational experience. Weckwerth Cabinets provides custom millwork, finishes, and engineering to meet our clients' design styles without sacrificing their functional needs. Our expert craftsmen create detailed and highly artistic furniture style pieces that bring your home to life, whether you're building a new home or remodeling your current space. We also specialize in custom veneers and turnings. Waterware is a luxury plumbing and hardware dealer-showroom that not only sells exceptional products, but provides a knowledgeable staff that specializes in all aspects of customer built applications, and are dedicated to the highest quality of customer service in a friendly & professional atmosphere. Selecting products for your home is exciting, but it can also be overwhelming. We have developed a process to make things easy for you, giving you peace of mind when making your selections. From the initial consultation through the fixture installation, we are able to be the single point of contact for your plumbing fixture & hardware needs. Waterware works with all phases of new construction including, and can also assist clients with a referral base to choose from if a builder has not been selected. We want you to know just how special you and your project is to us, we will do our very best to ensure that you and your needs always come first. Design Center of Boise provides expertise, innovation, and proven performance to deliver building product solutions to residential, commercial, and government projects. Our design consultants have worked closely to bring the best products and service to projects throughout the Boise Valley, and will do the same for you. Our goal is to bring innovative building solutions to the forefront of the building industry through our in-house design center while giving our customers and associates the ultimate service experience. Mission Statement: We provide residents of Boise, ID and the surrounding areas with superior glass replacement for vehicles, homes, and commercial establishments. Our dedicated professionals have years of experience and are trained to provide you with the solutions you need, at prices that are fair and honest. We are licensed, insured, bonded, certified and we guarantee our work. Our company has proudly served the Treasure Valley since 1956 with glass replacement products and our customer base has only grown since we first started offering our services. We believe that it is our duty to be a trustworthy and reliable supplier of replacement glass, and our belief is what guides us on every job. We understand that our customers must always be considered first, and everything is secondary to their needs. Whether it is repairs, sealing, installations, or maintenance, we stand by all that we offer and are proud of the quality of service we provide. In addition, we guarantee that by the time our work for you is complete, you will be nothing less than completely satisfied. What should I hire a Boise, ID kitchen and bathroom fixtures specialist for? Whether you are doing up a house you’ve moved into or you want to update your bathroom suite or fitted kitchen, working with a Boise, ID kitchen and bathroom fixtures specialist will be extremely helpful. Even if you want to source your own fitted kitchens and bathroom fittings from bathroom and kitchen showrooms, unless you are a skilled craftsman someone will have had to make the fixtures and unless you are a plumber you’ll probably need some help with installation! On Houzz you can find kitchen suppliers, manufacturers and installers of fixtures and fittings in Boise, ID to help with all aspects of the process. In the kitchen you can change more than just the sink and taps. Even without ripping out all the fitted kitchen units, you can still have bespoke kitchen doors made to replace the old ones and worktops laid over old surfaces or replacing them entirely. Instant boiling water taps, waste disposal units and induction hobs are just some of the gadgetry and convenient fixtures that are available for fitted kitchens from kitchen showrooms and suppliers. Take a look at the Boise, ID kitchen suppliers listed on Houzz to find out the sort of fixtures and fittings they offer. A bathroom isn’t a bathroom without its plumbing fixtures and good bathroom fixtures can make or break a home when it comes to selling potential. Take time to pick out bathroom fittings that work together; you can opt for a whole bathroom suite from a bathroom showroom or bathroom installer, but if you don’t want the overly matching look, a Boise, ID bathroom fittings specialist can help you choose individual but complementary pieces. Power shower installation can boost the appeal of your bathroom (no one likes a weak shower) and extra special features like his and hers sinks, shower body jets and roll top baths will give your bathroom style that added oompf. If you can’t stretch to extravagant bathroom fixtures you can still talk to a fixtures specialist about electric shower installation or installing a new toilet; it may seem like a lot of hassle at first, but when you leave it to a professional, all the hassle is taken off your hands. Many Boise, ID kitchen and bathroom designers will install or offer help with your fitted kitchens, bathroom fittings and fixtures, so if you want an all-in-one renovation service, you can contact these professionals on Houzz as well. Talk to kitchen showrooms, suppliers and bathroom stores to see if they offer their own installation service or can recommend a local Boise, ID installer for you. Here are some related professionals and vendors to complement the work of kitchen & bath fixtures: Kitchen & Bathroom Designers, Kitchen & Bathroom Fitters, Interior Designers, Cabinet Makers. Find kitchen or bathroom fixtures and fittings manufacturers on Houzz. Check out Boise, ID fitted kitchen showrooms and bathroom fittings installers on Houzz. You can also look through project photos provided by Boise, ID kitchen suppliers, bathroom renovators, showrooms and designers to find fixtures you like and contact the professional who installed them.